Today kicks off the first day of Summer, bringing with it lots of delicious fruits that I look forward to every year! Drea here with the Design Team, and I dug through some of my older bundles to come up with this card featuring Bo Bunny's Forever Young Collection from FotoBella.com. 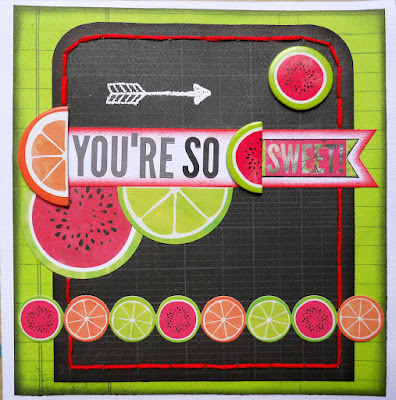 No matter what collection you're using, Bo Bunny's Ephemera is always the perfect choice for card making! From the Ephemera, I used the papers inked with Black Soot Distress Ink, and the arrow from the stamp set that I embossed in white. 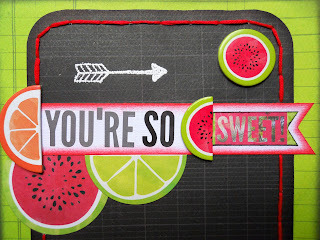 The card base measures 6" X 6" from white cardstock, which I also used to make the banner inked with Festive Berries Distress Ink and my Blending Tool. Then I added the grey and black alpha stickers that come in the 12 X 12 Collection Pack, and the SWEET banner piece that comes in the Noteworthy. 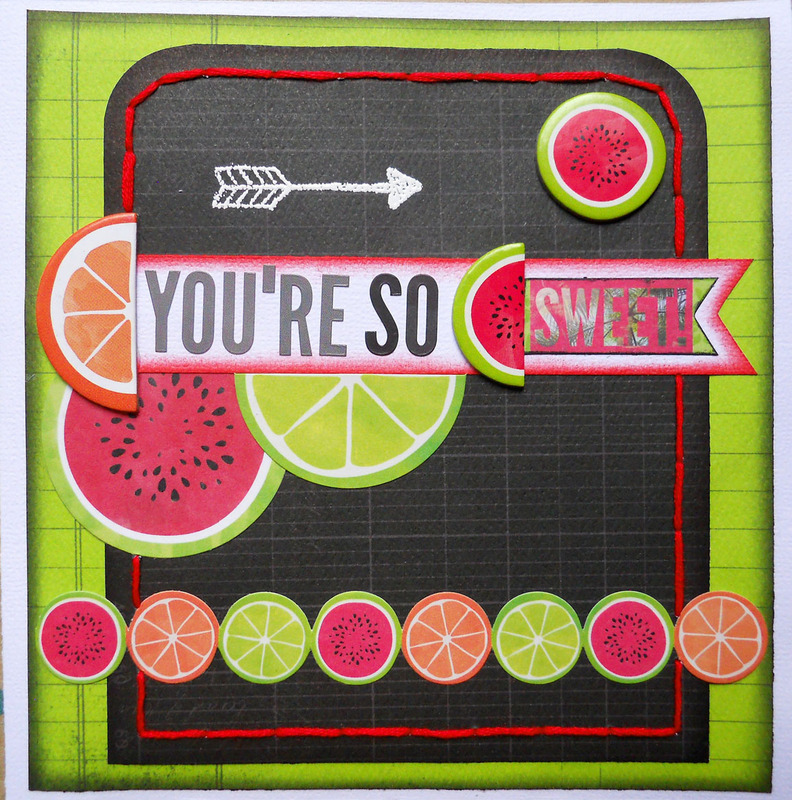 All of the fruit is also included in the Noteworthy pack, besides the Chipboard. Then I finished it off with my signature hand-stitching. Have a wonderful Summer from all of us at FotoBella! What an awesome card Drea! I love it!